Jet Speed Aviation Inc. is pleased to offer VIP McDonnell Douglas DC-9-15, Serial Number 45797 for immediate Full or Fractional Sale. 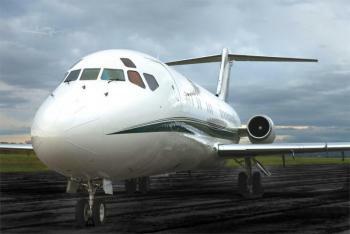 The DC9-15 is a powerful and proven world class Jet delivering exceptional passenger space, comfort and amenities. This custom equipped aircraft with Universal Avionics Flight Deck Upgrades has been privately operated, professionally maintained and considered to ......more.